Construction and demolition is underway for Greenville Smart! 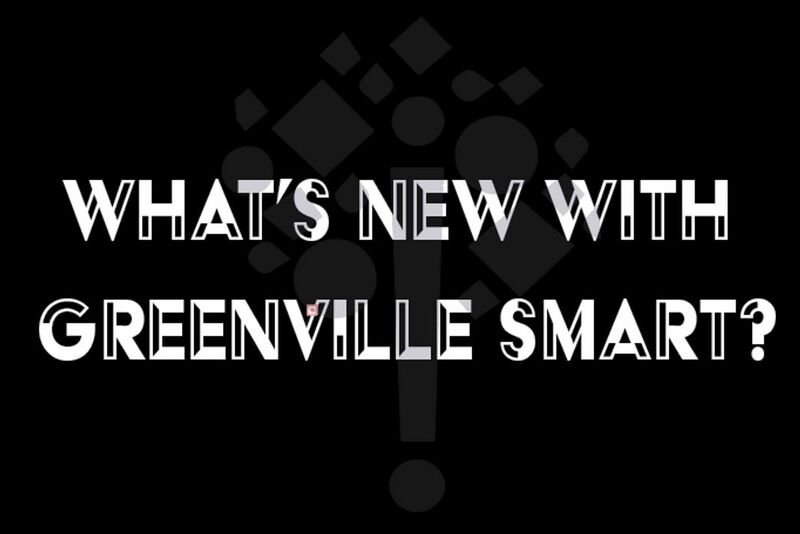 If you’ve read my first article you’ll know this is just another piece to the makings of the Greenville Smart building! This building is located on 102 N. Second street in Greenville, IL. If you are a local and familiar with the Ville’s square it’s right next to Joe’s Pizza and Pasta. This is a 123-year old building that has tremendious history behind it. 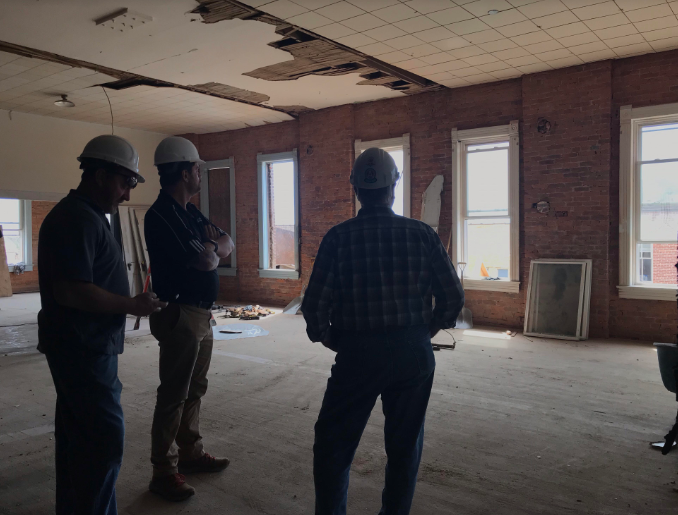 I had the opportunity to take a tour of the Greenville Smart building with Breck Nelson as my guide. The inside of this building has a lot of up keeping to do. Behind some of the walls are these old bricks that make the building unique. Also looking up at the ceiling there is this vintage design look that brings an 1896 look to it. As I entered the building with Nelson, we walked into the basement part first. Here, we had workers laying down concrete and what looked like walls being put into place. 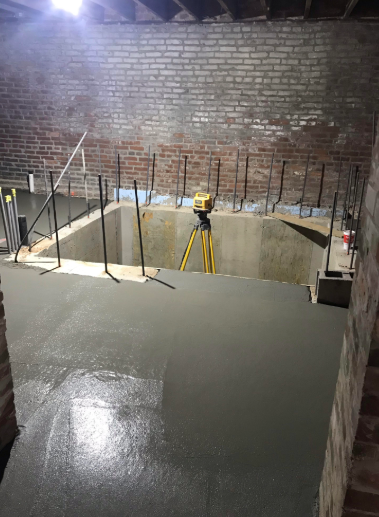 Nelson also showed the start of the elevator that will be put in to access all thre levels of the building. The first floor is currently in the works. 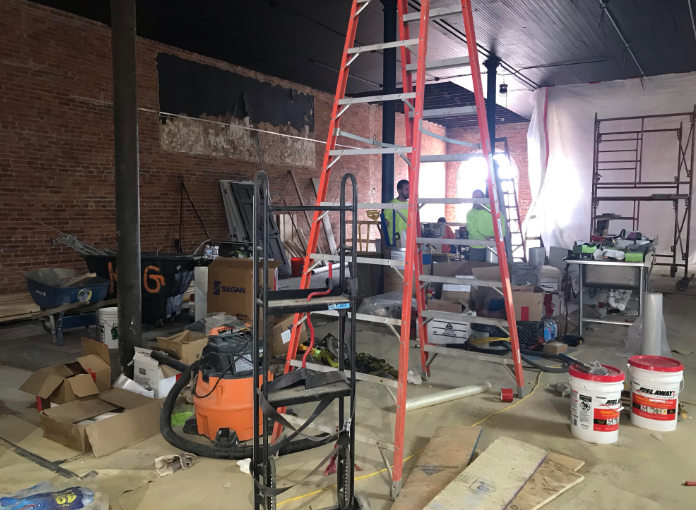 It will consist of a restaurant that will have a variety of things that aren’t really offered on the Greenville University campus. There will also be a wall tore out to expose a patio so students and locals can sit outside and enjoy their meal. I also got to see the building plans in the works! There were several workers working on the inside as well as throwing unnecessary materials into the dumpster on the outside. There are about 20-35 workers per day working on the building. The second floor was extremely open and bright. The windows that cast light into the room is such a great addition. I couldn’t believe how many windows that overlooks the town square were in this area! 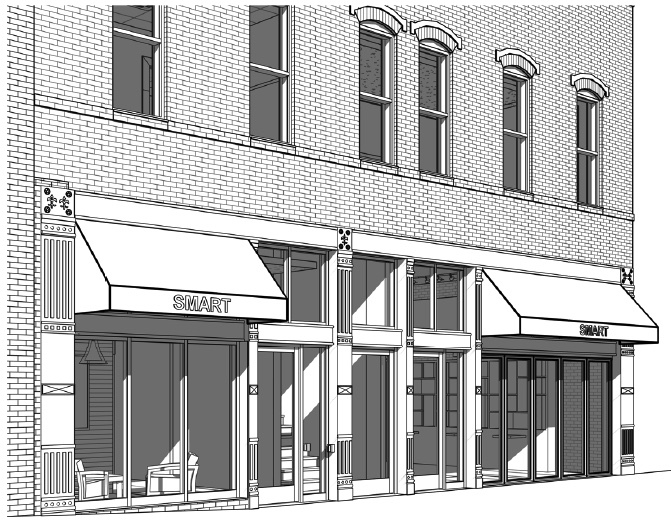 The third floor will consist of the new demonstration kitchen. It will have the ability to film, and as Nelson said, you can do a cooking show here if you wanted to! 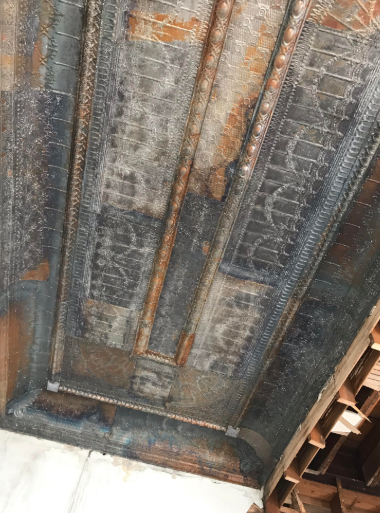 This floor will definitely have that old vintage feel with the cool design up on the ceiling that will be polished up for those finishing touches. This building is one of the oldest buildings in Greenville. 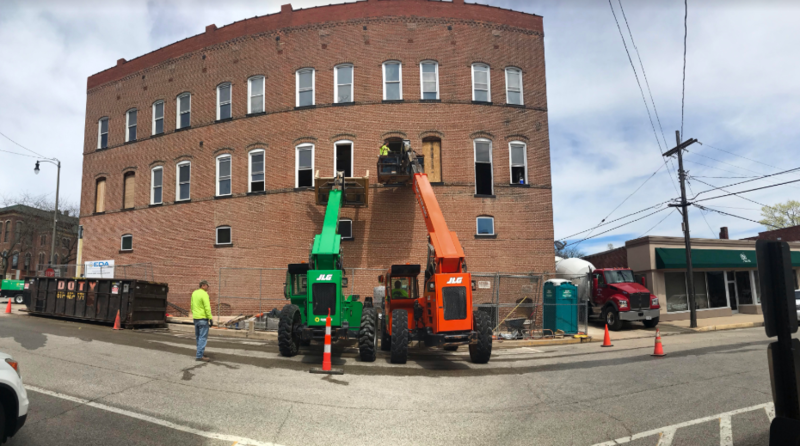 To take a modern idea towards an old building can be hard to do, but this Greenville Smart crew has things right on schedule! Check out their progress on their Facebook page to stay up to date with their newest renovations.